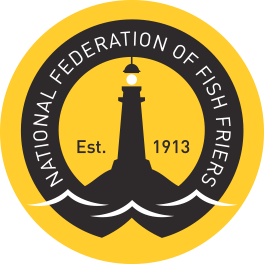 First published in 1925, the Fish Friers Review is the official journal of the NFFF and the fish and chip industry. In this issue we take a look back at the NFFF Ball and AGM, where we were delighted to welcome David Miller from Millers Fish and Chips on to the Board of Directors, together with former NFFF President Mike Pili becoming a Life Member. Dawn Gray at the Friary in Beauly talks healthy lives, healthy people and why business need to take more reasonability over the meals they serve. NFFF Treasurer Alan Hanna talks us through his journey up Mount Kilimanjaro as he opened the worlds highest pop up fish and chip shop, all in the aim to raise money for the Fishermen’s Mission charity. We also introduce you to the Woodnook Chippy recently purchased by Lauren Butler. Lauren talks about the importance of training and her short journey within the trade. Finally, if you want to know where Middleton Food Regional Development Manager Jason Parsonage dream holiday location is in UK and world you can in issue 7 of the Fish Friers Review! You can view issue 7 by clicking here.